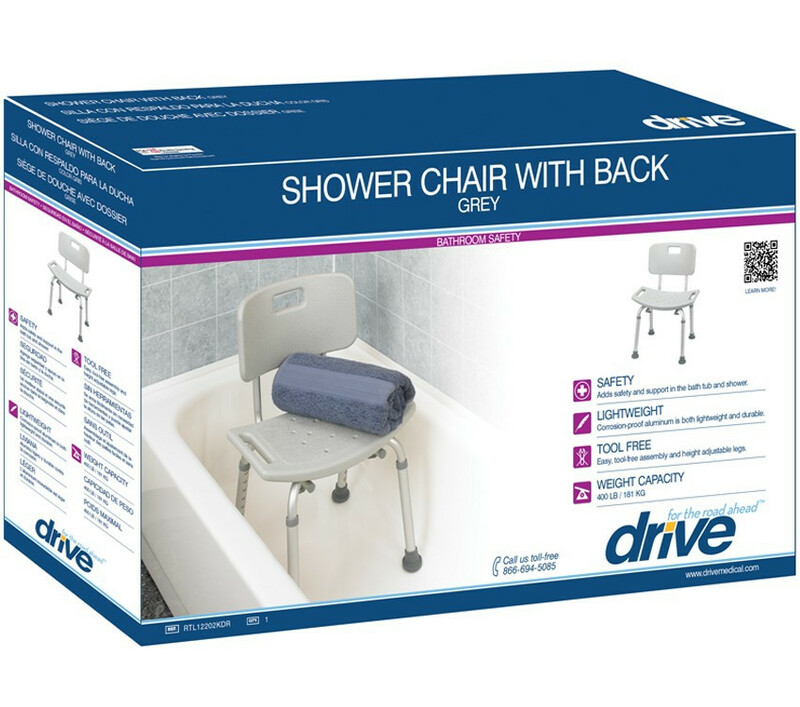 The Drive Medical Bathroom Safety Shower Tub Bench Chair with Optional Back has many great benefits to its design for a safe and comfortable shower experience. The shower seat can be made to fit with a range of people and help facilitate those who are in need or live independently - caretakers are beneficent, but being independent is a better option for those who may still have this option available to them with a little help. 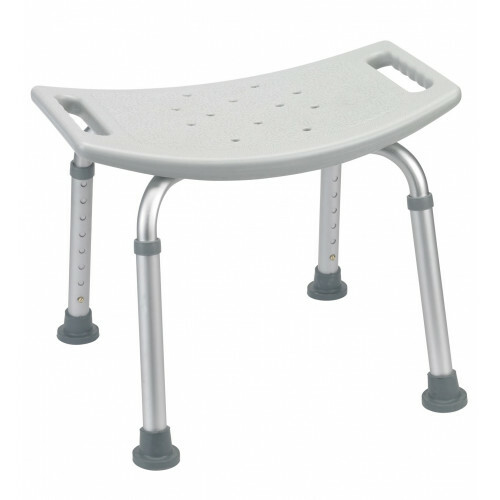 Many people who use such shower benches enjoy having the ability to maintain their own personal hygiene, giving people a feeling of independence at home or in a care facility. 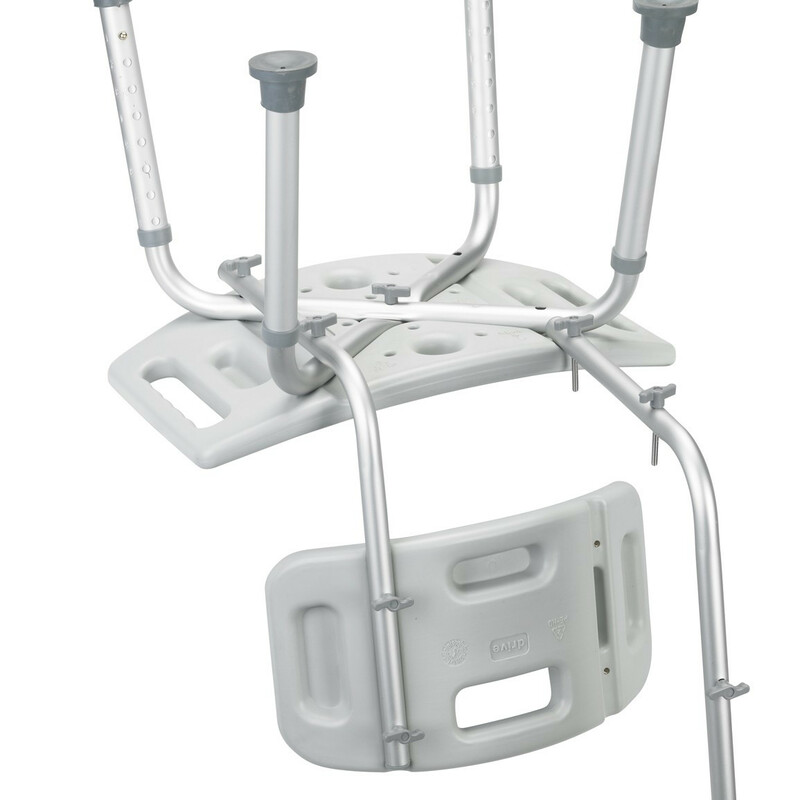 The safety shower bench comes in two options, the drive medical rtl12202kdr Deluxe Aluminum Bath Chair w/Back allows the user to retain back support, not having a place to rest your back against can really come in handy a lot more than you may think; giving you total back relief. 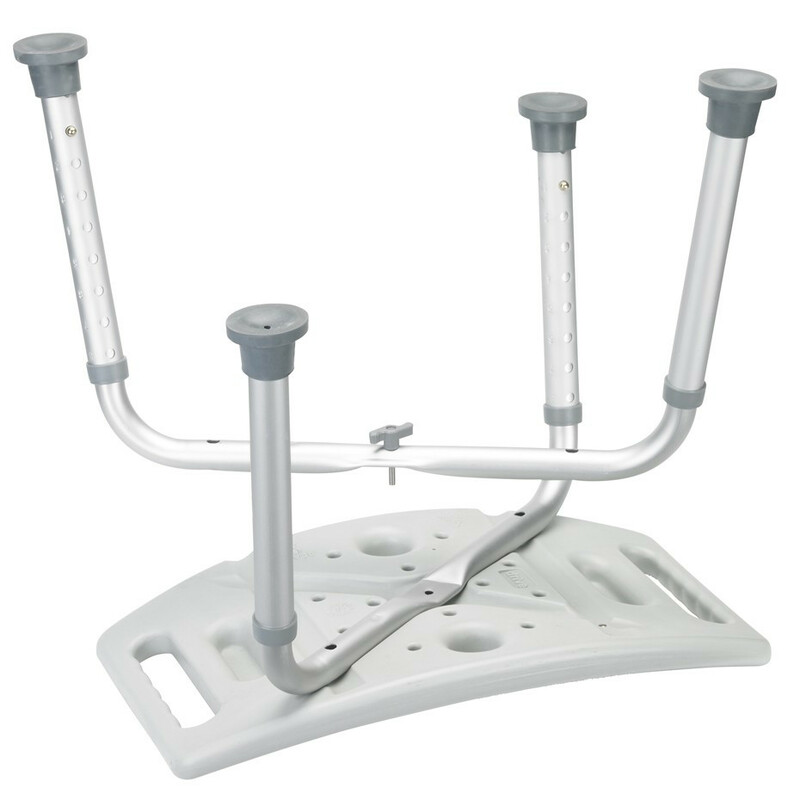 The second option would be the Drive Medical rtl12203kdr Shower Chair Without Back which is best for people who are just looking to get-in and get-out of a quick shower. The backless option offers the user the ability to swivel out from the seat. 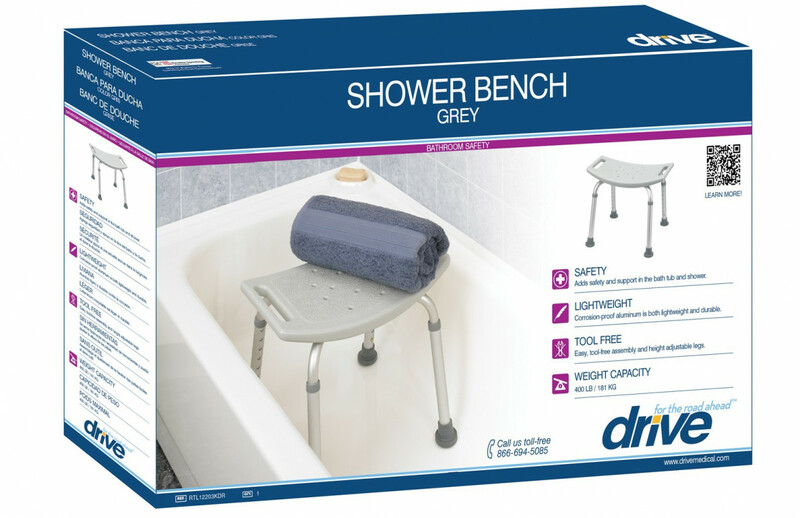 The shower bench can support up to 400 pounds of weight capacity to offer max results when other benches are only able to offer 250 to 300 pounds, this bench is made of a sturdy aluminum frame and weighs less than 9 pounds even with the backrest attached to it. 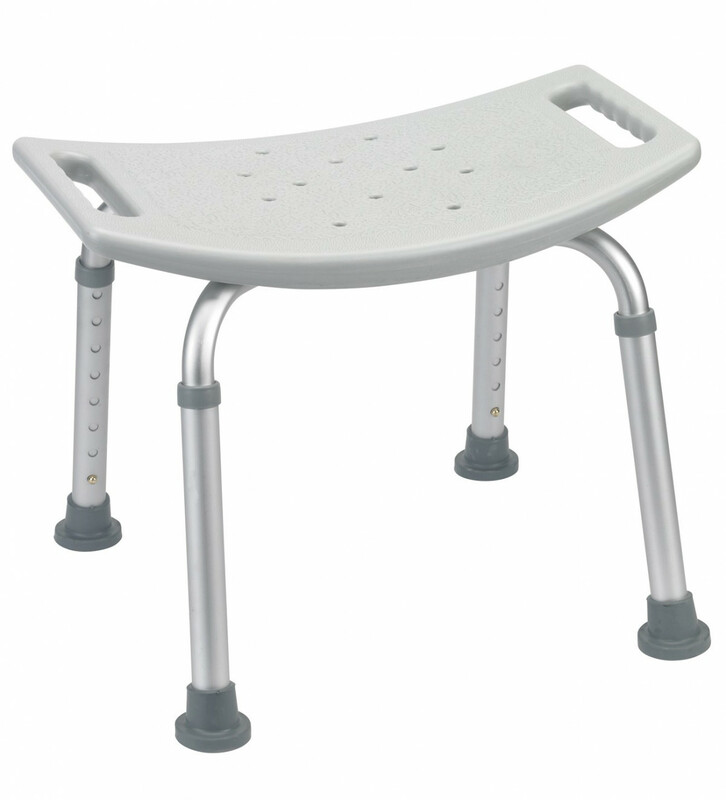 The safety shower bench has a wide, 19.25-inch seat that is curved to offer support and help prevent you from sliding off the seat when wet. When the seat does become wet, the plastic seating does clean easily. 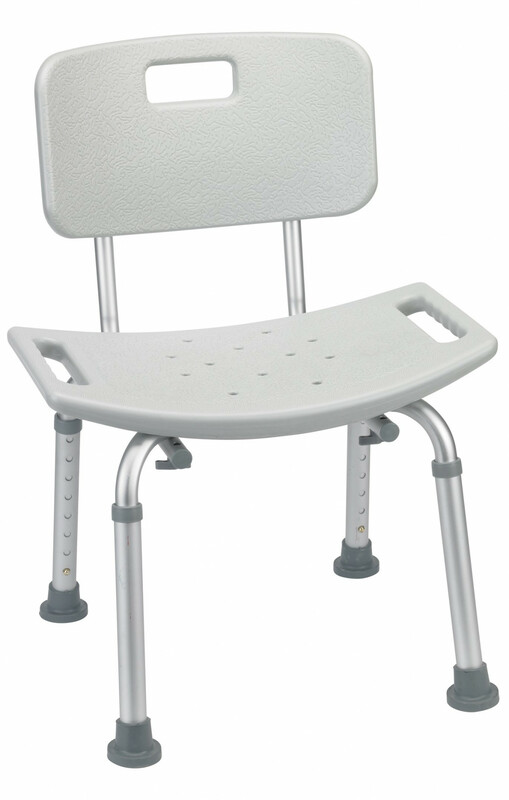 Options with a cushioned seat are available such as the Transfer Bench Padded for Bath or Shower by Drive. An adjustable seat height gives you the ability to accommodate your seat at the level most comfortable with you, for the best experience and we are able to provide.